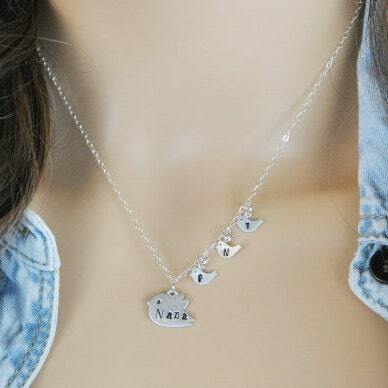 Nana Necklace. Family tree jewelry representing nana with her kids/grandkids. You can choose up to 4 letters for the momma bird. Also comes in gold. 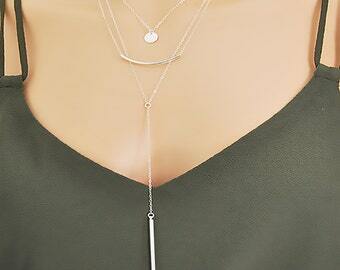 ►Chain: Sterling silver or 14k gold filled chain, spring clasp and findings. 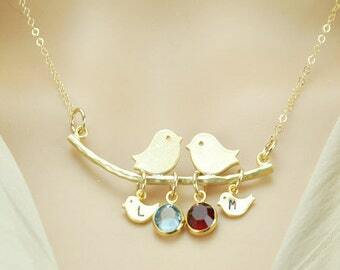 ►Mama bird: Matt rhodium or matt gold plated measuring 5/8" x 1/2" (16 mm x 12 mm). 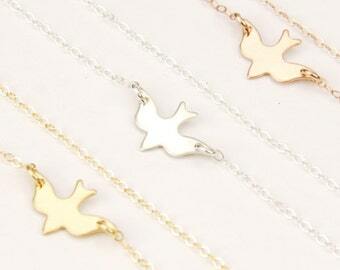 ►Baby birds: Matt rhodium or matt gold plated measuring 5/16" x 1/4" (8.2 mm x 6.5 mm). 1. Your choice of up to four letters to be stamped onto the mama bird (big bird) in upper or lower case. Ex: "Nana", "NANA", "Mom","MOM", Mama, "Amma",Ohm, Ohma, Gran, etc. 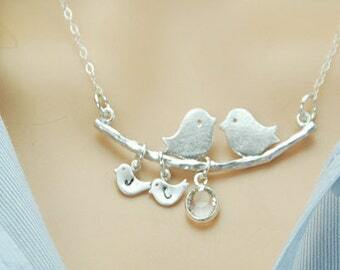 For more bird jewelry: http://etsy.me/1cKKgoG. This is so adorable! I can't wait to give it to my mother-in-law for Christmas. Shipped on time.